Cool climate Chardonnay at its best! Fruit sourced from two of the oldest producing vineyards in Denmark W.A. including Paul’s very own Karriview. Get ready for an old school Chardonnay with new-century smarts! 50% handpicked, whole bunch pressed, 40% new French oak, wild ferment,100% MLF (Malolactic Fermentation) and matured in oak for 10 months. Yep, this wine has had the whole kid gloves and Rolls Royce treatment! You’ll be amazed by the wild spectrum of flavours on show: soft ripples of minerality, searing grapefruit and beautifully balanced by a silky lanolin backbone - yummm! Limited to only 270 cases produced from decades old vines - this wine will fly! 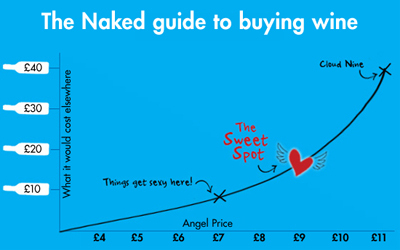 You’ll have to get your skates on to beat the thousands of other thirsty Angels. Distinctly cool climate in style, Paul's Chardonnay shows an ever present line of textual acidity which carries through for a fantastically flavoursome finish. Refreshing minerality, citrus, white peach and apple blossom will greet you with open arms with every scrumptious sip! Partial treatment in new French oak integrates secondary layers in beautiful harmony, without dominating the delicate fruit components. The wine is comprised of batch fruit from one of the oldest and most sought after vineyards in Mt Barker. An Angel price under $16 is too tasty to pass up compared to the $35+ market bottles this fruit usually ends up in. 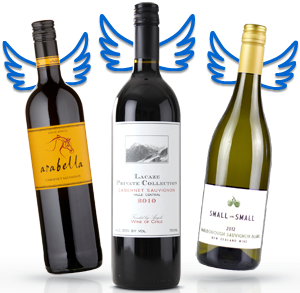 Don't miss an opportunity to try a wine that sings the unique Great Southern tune! It exemplifies the modern Chardonnay trend, stepping away from buttery, overpowering oak. Fresh and fruity yet seriously balanced and approachable, this baby is suited to any occasion with or without food. Its the perfect on-hand companion for unexpected guests this summer!